On Oahu, there are many things to see and do away from the golf course. So, HawaiiGolfDeals builds our Oahu golf vacation packages with a little less golf than on the outer/neighbor islands (Big Island, Kauai & Maui). “The Gathering Place,” as Oahu is also known, is home to Honolulu, Waikiki, Diamond Head, Pearl Harbor, Polynesian Cultural Center, Hanauma Bay, the “Banzai Pipeline” and the big waves of the North Shore, as well as almost 955,000 of Hawaii’s 1.45 million residents. Ninety-five percent of Oahu’s lodging is in or around Waikiki, so prepare to drive 25-50 minutes to our participating golf courses. Oahu’s golf courses are numerous with five private clubs, a municipal golf system (six courses) and military golf system (six courses) that are quite exemplary. In fact, if you are active or retired military (or with certain Federal government credentials) and love golf, there is not a better place to visit or anything better than HawaiiGolfDeals’ Oahu golf vacation packages. We feature four terrific Oahu golf experiences on the leeward side of the island: Oahu’s only 27-hole layout—the Hawaii Prince Golf Club, designed by the late Arnold Palmer and Ed Seay; and two Robin Nelson designs — the emerald green hues of the paspalum turf at the Coral Creek Golf Course, and vistas aplenty, found only at Royal Kunia Country Club. Our newest addition, is the venerable and verdant Makaha Valley Country Club on the far west end of of the island. We can also recommend a quality military layout that allows outside play by showing up or standing by to enjoy the wonderful parkland course with cooler temperatures and stands of mature trees throughout the layout. The remaining golf offerings are numerous, but rather pricey, with visitor green fees of $130 to about $225. That probably explains why many of these courses sell far less than 10% of their tee times to visitors. Less than a handful get close to 30% visitor rounds. Since 1994, HawaiiGolfDeals has been providing Oahu golf vacation packages and delivering golfers to Waikiki (and a couple of other Oahu locations). And we really try to respond to the pulse of thousands of those who we have inquired and booked. It seems that golfers appreciate the Waikiki Gateway area, which unfolds upon passing over the bridge that spans the Ala Wai canal along Ala Moana Boulevard as you travel from the airport (HNL) and past the Ala Moana Shopping Center. What makes the Gateway so convenient is that you can take a 10-minute walk into central Waikiki or a four-minute walk to Ala Moana. Even the Ward Center shopping, dining and entertainment options are an easy hike. Best of all, is the ease of getting in and out of the area without having to get caught in the heart of Waikiki on both sides of your golf or sight-seeing experiences. We also have a new option on the Leeward side of the island that has become a real find for many of our avid golf travelers. 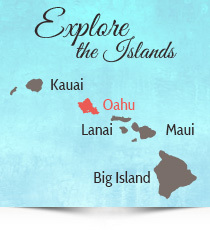 We know the Island of Oahu. We know the lodging options and all the golf courses. In other words, we know the best places to stay and the best places to play. Our Hawaii-only sales agents are the most knowledgeable in the business and will always get you the best price on a Hawaii golf vacation package. We work with Hawaii vendors in numerous ways via wholesalers, consolidators and directly with accommodation providers. We have worked with Alamo for over a quarter of a century and deliver vehicles most suited to golfers. We will even make your tee times and be your golf concierge. 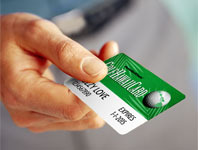 Of course, every Oahu golf package includes an Oahu GolfHawaiiCard for each golfer and our Oahu Dining Guide. No one and no other company provides the knowledge, skill and pricing like HawaiiGolfDeals Travel Service. In fact, in the highly unlikely event you can get a package price from one provider, we are able to match virtually any legitimate quote. Book the best Oahu Golf Vacation Packages by contacting HawaiiGolfDeals. Book your Oahu Vacations with us and enjoy huge savings on lodging, vehicles, golf and other activities. Our knowledge of Waikiki and all Oahu accommodations, tourist attractions, and travel experiences ensures you’ll enjoy a great Hawaii vacation. You can select and enjoy the best of Hawaii Golf and Hawaii attractions including Oahu Tours, Big Island Hiking, Kauai Sport Fishing, Honolulu Food Tours, and Sunset Cruises, among other exciting activities. Your Vacation in Hawaii will be an experience you and your family will never forget. If you’re a golfer, you’ll be playing as much golf as you can on all the Hawaiian Islands. It doesn’t get any better than this. Book the best Golf Vacations in Oahu, Maui, and Big Island Golf Vacation Packages today.